Pitching in the eastern part of Pennsylvania, northeastern part of the United States is pretty damn good! It was a bit interesting for me today, because I got to watch one of our local pitchers pound the crap out of Missouri, playing for the Oregon ducks. 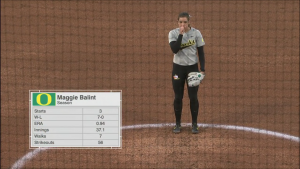 Maggie Balint is from Avon Grove Pennsylvania and played for the Delco Chaos, and appears to have a really good work ethic and should do very well for the Oregon Ducks. What’s really funny about watching her success is that I watched her play in the PIAA state playoffs just down the road from me, about eight months ago. 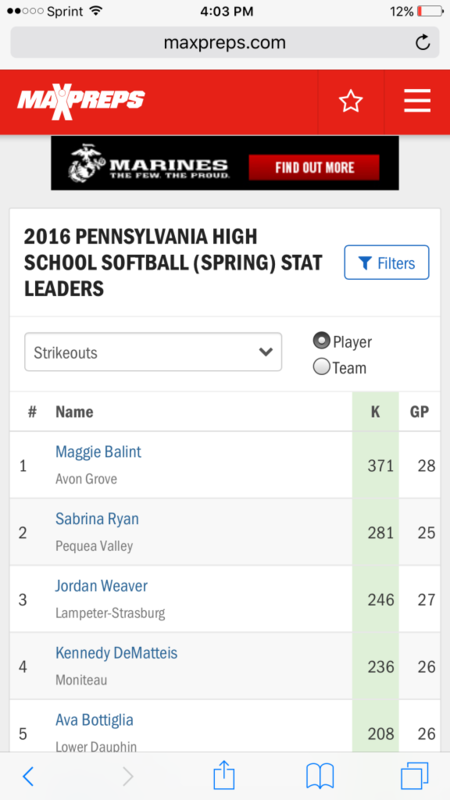 Although she did not win the state championship in 2016 ( I believe she only missed it by one run finishing as the runner-up) she did undoubtedly have a strong season and set some new records in Pennsylvania.